Why should I join Rotaract? If you are a young person aged 18 to 30 that is looking to make a positive change to your life, your local community and around the world whilst having fun, meeting new people and making friends, Rotaract is for you. Rotaract members participate in and lead a wide range of community, development and social events and activities. We help those in need and less fortunate than ourselves by volunteering and fundraising for local community and international service projects; develop our personal, professional and leadership skills by attending conferences, training seminars and listening to guest speakers; and have fun by taking part in social events, team building activities and making friends with the new people we meet. 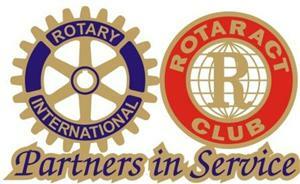 Rotaract is open to anyone aged 18 to 30 and the clubs in RI District 9685 are always open to new members and guests. The best way to get involved with one of our clubs is to attend a club meeting or participate in one of their events. Our Rotaract clubs meet at different times and locations throughout the district. They are listed to the left on this page.